Chandigarh is one of the most well-planned cities and a union territory in India. 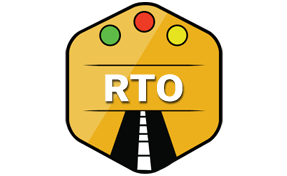 Chandigarh RTO has been established for the effective management of transport and traffic in the city. It is founded by the motor vehicle act of 1988. Transport commissioner directs and heads entire activities of Chandigarh RTO. Numerous activities are conducted for the betterment of transport and traffic in the city. The motive of the foundation of Chandigarh RTO is to maintain traffic rules and regulations as well. Chandigarh RTO is authorized to issue vehicle registration copy to all the new vehicles purchased in Chandigarh. Making any changes in the registration copy. It is usually required whenever there is any modifications in the contact details of the vehicle owners. Other instances when registration copy of vehicles needs amendments is at the time of change in vehicle ownership. Responsible for granting no objection certificate to the vehicles from other states. Issuing all kinds of driving licenses. Chandigarh RTO assists in issuing learning license, driving license, international license, renewed license. It also helps in issuing a duplicate license in case of its loss or theft. Regional Transport Officer (RTO), Sector 17, Chandigarh - 160017.